Hello everyone: Today all of us at THE FLOWER CHALLENGE have a very easy one for you to play with. I know there are some really awesome sales at the end of the year that some of us, me included, took advantage of. This year I'm trying to really use all of my old sets, which I love, some I haven't used in years and that is a shame but, I also have some spanking new sets I bought last year and this card is made with one of them. This is a gorgeous stamp and dies bundle from Stampin' Up! called "Climbing Roses Bundle", I chose this set to get a free stamp set from the Sale-a-bration catalog but also because it's simply beautiful as it is versatile. I stamped this image with Stazon black ink on white card stock and colored them with Prismacolor pencils, then using the die, I cut it out and placed it on my panel with dimensionals. I die cut the trellis and the sentiment tag, the sentiment is from the set. I used a couple of old sets to decorate this panel, the "Delicate Details" from SU and the sentiment from "Sassy Succulents" from Power Poppy. 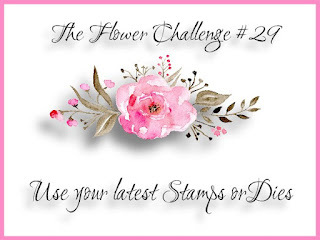 I hope you have some time to come and play along with us at THE FLOWER CHALLENGE using your new stamps and or dies, we can't wait to see what you create. 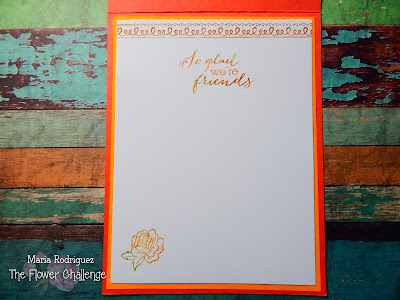 Scrapbook and cardmaking "Use a die or Stencil. Incy Wincy Designs "Make it Girly"
Stunning. I need to play with this bundle. Perfect with your colorful background, too! Lovely set and don`t you love that sentiment ? You are going to really enjoy using these . I have seen some stamped images on the cute tag . I am looking forward to some more cards that you are going to do for our enjoyment . That trellis is a beauty too . Beautiful beyond words! Don't recognize it as my former UP Line fails to give me catalogs. Her loss! I'm glad you could take advantage of some deals this one looks like a winner to me! Love your choice of colors. 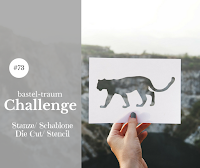 Thanks for joining us at Double Trouble Papercrafting Challenge. Oh, this IS a beautiful set! Those flowers are trailing so free and easy down the trellis and I absolutely love the colors you used. Your card is just beautifully done, Maria. I'd have to think which is my latest flower stamp or die... it would be from last year. Bright and beautiful floral card...love the colors and the background die is just the right backdrop for your floral. Thanks for sharing with us at Double Trouble, and please come back with more florals, with a twist of "anything with wings" and consider using the sketches from our partner Atlantic Hearts Sketch Challenges which are excellent for floral projects. And don't forget to follow us and come back for future fun partnered challenges. Oh I LOVE your colors. They are STUNNING!! Oh, I'm speechless... your colouring is spectacular and the way the flowers fall over the brown lattice-like background is amazing. I think I have to order this stamp now (!) This is just stunning - there simply is no other word to describe it. 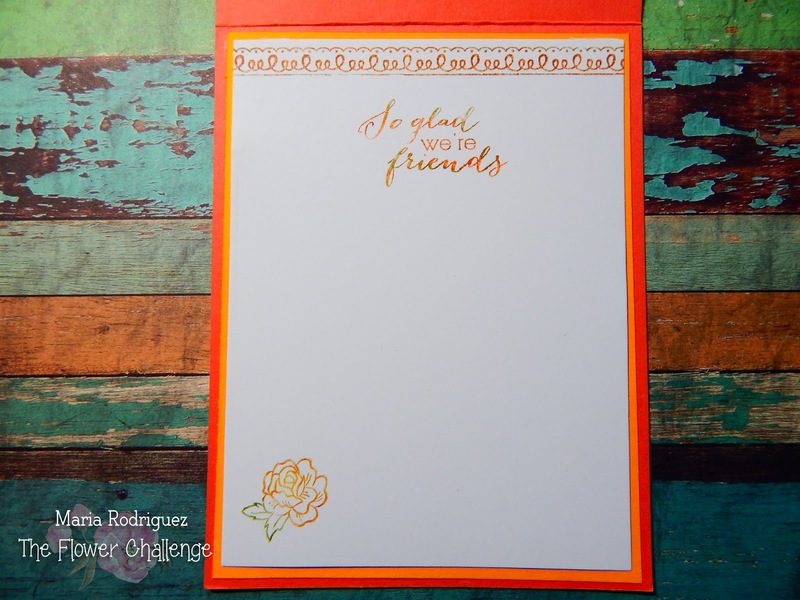 Thank you for sharing your talent and your beautiful card with the Double Trouble challenge - sure hope to see you again next week for the second instalment of the flower challenge! 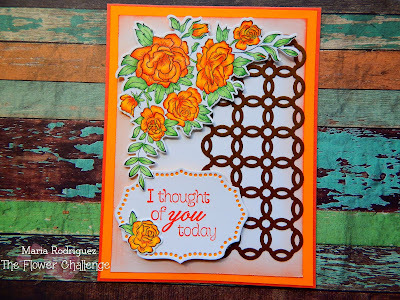 Beautiful card Maria and I love the orange flowers as well as the lattice on your card. Such a pretty card and beautiful coloring! The orange flowers on the dark brown trellis are so beautiful, Maria. And I must say I love whatever that is you placed your card on to photograph it. Great card, Maria! I especially like those beautifully colored roses with the trellis background. Thank you for taking part in the challenge at Double Trouble.